We had a very positive experience with Picture Build. We had our backyard patio redone, with a Trex deck, landscaping and lighting added. Brian and George were great to work with. We did not have to oversee the job, the employees knew exactly what to do. I highly recommend Picture Build for a stress free backyard remodel. It feels like the deck was always there, very seamless. Wonderful to work with! 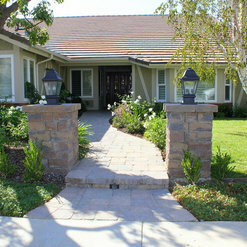 Picture Build did pavers for our driveway and front entryway (extended the stoop). They are fast, efficient, communicative, clean and reasonably priced. We were assigned a Project Manager who was very responsive! The project was performed within the timeline indicated. The employees on the job were experienced and courteous. 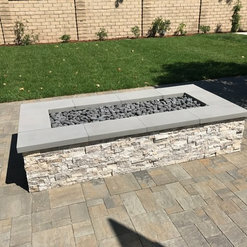 Found Picture Build on Yelp and decided to contact them for a free estimate based on the Yelp reviews. I would like to also add that the company's workers are in-house (employees of Picture Build that are provided benefits) AND the price was still reasonable. If they do use a 3rd party, they provide a paid receipt for your records. I mean who does that nowadays. Definitely recommend!! 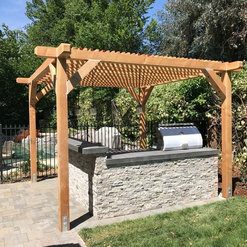 We worked with Picture Build to design and build our backyard pergola and modern concrete patio, and we have nothing but great things to say. Honestly, I have been renovating houses since grade school (with my family) and Picture Build is by far the best contractor I have ever hired. They were communicative, respectful, speedy, and meticulous. Verva worked with us to design the best pergola a Burbank permit could get us, as the city is very particular in its building regulations, and we wanted everything on the up and up. She spent days at the city building tweaking her designs to perfection, above and beyond anything I would have expected. Jorge is a hands-on project manager, cleaning up after his workers and checking on their work every day. Whatever we needed, he was always available, even after the last check was cashed. 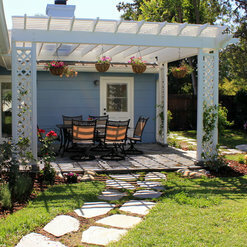 Please go to Picture Build if you want to renovate your yard, you will not regret it. I’m already saving up for the next project—the front yard! 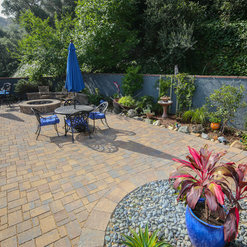 Brian and crew were thorough and professional, in completing two projects at my home in southwest Pasadena. A wall on the property line had to be demolished and rebuilt, and the crew was punctual every day, cleaned up every afternoon. Brian made a helpful design suggestion that I would not have anticipated. 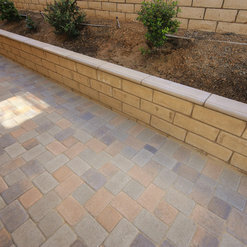 The second project was removing cracked up concrete driveway and installing pavers. Again, Brian worked with me to find the pattern and colors I preferred. Very satisfied. I hired Picture Build after getting several estimates. 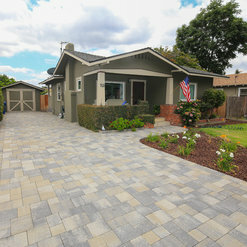 Owner Brian Godley was helpful with design of pavers on driveway and walkway up to the front porch. The crew very polite and boss answered any questions as job progressed. Cleaned up every day. Job completed in number of days as promised. Have lots of compliments from neighbors. Picture Build did a good job and I would recommend them. Just finished a job with Picture Build and had a great experience! We initially contacted Brian as we were experiencing foundation issues because of nonexistent drainage on our back patio. We mentioned concerns over cost because we could see how we could start out talking drainage and all the demo that went along with that, then it would turn into what would replace our cracked concrete and how we would landscape at the end. Brian was happy to bid each part of the project separately and help us prioritize. We felt so comfortable with Brian and his crew and his bid that we ended up doing everything all at once. Brian, Brandon and the crew were fast and professional and they worked with us every step of the way to make sure our vision was realized. 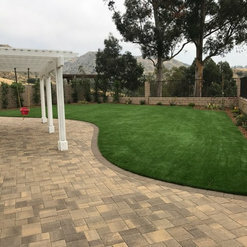 Their partnership with Remarkable Gardens capped off the great experience and now our foundation is dry, our pavers look great and our landscaping is beautiful. I have had nothing but good results from Picture Build. The work is fast and efficient. Brian is fair with his cost and will do whatever it takes to see that the customer is happy. 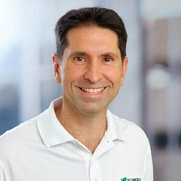 If something needs to be taken care of at a later date, then he is there to make the customer happy. 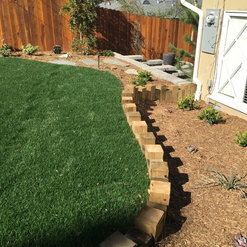 The Picture Build team was able to pave and help us create a beautiful backyard when there was only dirt...and the kicker is it was just a week before Thanksgiving when we were having the entire family over! Thank you Picture Build, prompt, efficient, great work and reliable. We hired Brian at Picture Build when we decided we couldnt do the job ourselves. 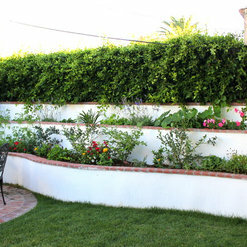 Brian worked with us to build the backyard we were envisioning. Brian and George and their workers were amazing. They were on time and worked hard. They got our job done so quick and we couldnt be happier. George gave us a crash course in setting the sprinkler timer and was super patient while we asked a ton of questions. Overall great company. MY parents are going to be using them as well for their backyard project. 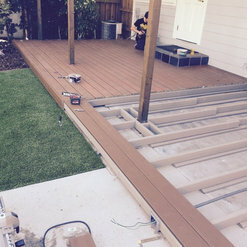 I came back to Picture Build after choosing another contractor because the contractor I had chosen kept adding on charges, making his final cost much higher than the quote given by Picture Build. Brian at Picture Build gave me a price with no add-ons. His crew of four came in on a Thursday and were done one week later, and this was not a small job. The work was done beautifully. The job was pulling up and replacing an original 1925 brick patio which was cracked and uneven. The crew brought up the brick, saved most of the bricks, filled the cracks, leveled the cement pad, reset the bricks, widened the steps, removed ill-conceived cement flower boxes, and set in artificial turf on another patio on the other side of the house to boot. The workers were polite, and punctual, stayed until dark, and never bothered us in the house. I would recommend Picture Build to anyone looking for honest, professional work. Commented: Nice tile and water color. 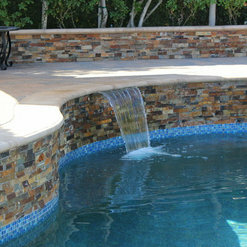 What is the tile and the pool finishHi there, Sorry, just saw this. Glass tile with pebble finish.